The prolific collaborators talk making POP 2, amplifying new global artists, and what’s really happening with Charli’s third studio album. Charli’s mixtapes have always tapped into her wide-ranging taste. Even before the release of her major label debut, True Romance, she sampled Jai Paul and linked with Blood Diamonds for a free download, Heartbreaks and Earthquakes, in 2012. This year’s Number 1 Angel proved that non-traditional releases allow Charli to take her dynamic pop energy to new heights (even if some critics bypassed it in favor of her genius, thirst-inducing video for “Boys”). 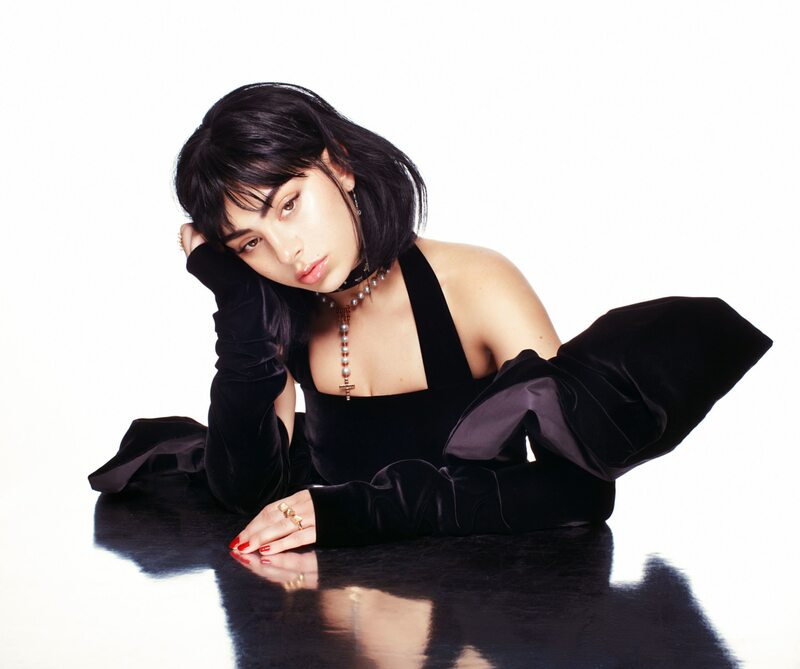 Her liberated approach to music is clearer than ever on POP 2, which stylistically finds a middle ground between the self-reflective Number 1 Angel, and the playfully caustic textures of Charli and A. G.’s 2016 collaborative EP, Vroom Vroom. Its introspective moments are tempered with an uninhibited desire to have fun, embracing pop’s jagged edges along the way. These songs bite as much as they brood. 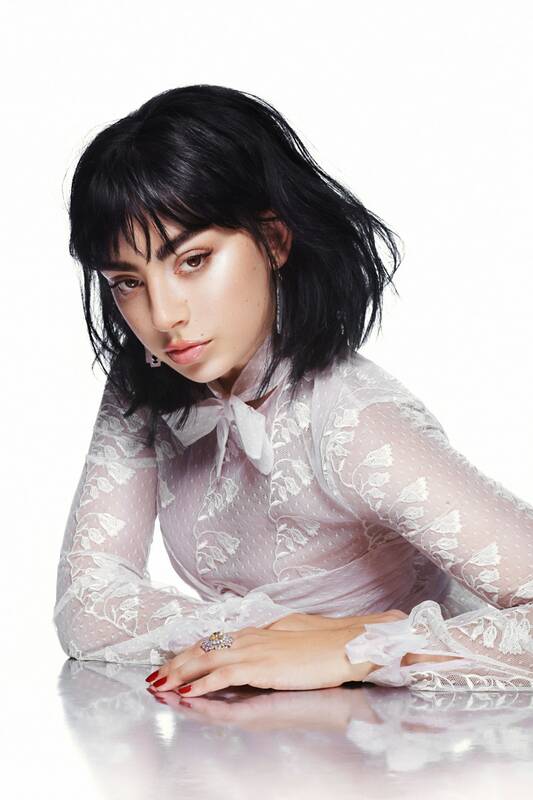 The FADER spoke with Charli and A. G. the week of POP 2’s release: the London producer was finishing up his day in PC Music’s north London studio, and Charli was at her L.A. home, preparing for a trip to China. In a warm conversation, they explained the challenges of recording POP 2 in just three months, the mixtape’s hidden easter egg for PC Music fans, and a planned Lil Peep collaboration that will never see the light of day. When did the creation of POP 2 begin? CHARLI XCX: I was just like, We should do another one! A. G.: I happened to be in New York, and it was the last day of my stay. It was only two months from that to [finishing the tape]. It was fast. CHARLI: But [it came together] in London. We started working on some songs in your studio and then dipped out at 2 a.m. to go to this PC Music club night. I got really fucked up, and then we came back and tried to do more [in the studio]. [laughs] The body of the work was then made in a hectic three or four day period in Alicia Keys’s old studio in New York. Were there any songs leftover from the Number 1 Angel sessions? CHARLI: There was one song that was born from a time where I thought that it would be really fun to make an album in one day. Which we did! It was a nine-track album. We had one idea which we used for POP 2 which was “I Got It.” It was the last song we had recorded that day. Has the way you work together changed since Number 1 Angel? CHARLI: The one thing that’s been different is the people we’ve been collaborating with. We spent a lot of time in New York with Caroline Polachek. I think she was in the studio for around 50% of the time. We did a lot of stuff with Noonie Bao on Number 1 Angel, but she wasn’t really around this time. A. G.: Our work style was pretty similar, but the mixtape sounds super different from Number 1 Angel. It feels radically different. We didn’t want it to feel like a sequence; we wanted it to feel like a complete restart in terms of the image and style of it. Auto-Tune gives a very distinctive quality to the songs, “Track 10” in particular. What particularly inspires your use of Auto-Tune, and how has that developed in your time working together? CHARLI: For me, now, it’s a necessity. I record with Auto-Tune all the time, and I basically have done for the last three years solid. I feel very insecure singing without it. I feel nervous and really panicked. It allows me to be way more fearless when I’m in the studio, because I hate the sound of my own voice without it. I’ve really got it in my head that I have no pitch any more. I’m also the biggest Kanye fan. I think that has something to do with it. A. G.: My one contribution was to turn the Auto-Tune down for some of it, and then really go hard with it on other songs, so it feels as intentional as possible. Like, on the end of “Lucky” where it goes higher than you’d naturally be able to sing. And then on [“Track 10”], where it gets super weird. It’s definitely an experiment. POP 2 has an incredible and diverse selection of featured artists. Was there any one of those collaborators that was particularly memorable to work with? CHARLI: We had a song that we did with Lil Peep that was going to be on this mixtape. And then now, it isn’t. I think it’s the right decision. I never met Lil Peep, but I was massively inspired by him. We just went out on a limb to try and get a feature with him, and completely to my shock, he actually did it. That was maybe the first song that we drafted for the mixtape, in London. It felt like…when we were brainstorming ideas for it, it was immediately him. It’s something that no one will ever hear, and that’s the way that it should be. I’m just honored that I got to do something with him. The song with Pabllo Vittar was actually the first time I’d heard her. How did you discover her music? CHARLI: I discovered Pabllo when I went to Brazil. I was meeting up with a load of my fans before a show, and they told me who Pabllo Vittar was and showed me one of her videos. I was like, Wow, this is really crazy, and really cool. Then they told me that she was one of the biggest artists in Brazil right now, and how it was a big deal, [because] being part of the LGBTQ community in Brazil is not always easy. I got in touch with Pabllo’s producer via Instagram — we were talking about doing a “Boys” remix together, and then POP 2 happened. This song “I Got It” came up, and it’s probably the most wild and abrasive song on POP 2. It felt right to have three really strong women completely crushing it and being badass on this song. Pabllo was 100% a part of that. There’s also a Carly Rae Jepsen collaboration on the tape — she’s been adjacent to the PC Music world for a while. How has your relationship with her developed? CHARLI: I actually met Carly for the first time at that night you did in L.A.
A. G.: Yeah, both of you performed. That was around the time that we were filming “Super Natural”; it was a very Carly week. But I’ve loved her stuff for ages. And you guys had done some more writing work, right? CHARLI: We did this very bizarre late-night jam session. She’d been working with Patrik Berger and Justin Raisen in L.A. I got there really late, and they were partying. It turned into this long jam, where everyone was ad-libbing on the mic, and there were guitar solos happening. I think we spoke about doing stuff then. There was also this tweet a while ago with a picture with myself, Carly, and Lorde, and people were very excited about the possibility of a collaboration. When I thought about the mixtape, I got reminded of that, and the fact that Carly and I had spoken about doing stuff, and she’s really into A. G. and all of the PC Music world. A. G., in “Unlock It” there’s a sample of your song “Beautiful.” What prompted you to make that easter egg for fans? A. G.: I always do easter eggs! I can’t resist. [laughs] I’ve not even used that sample in any other songs, I just thought “Unlock It” needed something. I think at one point I was gonna remove it, but Charli was already into it. Maybe it does sound like my tag! Which is funny, because it doesn’t say my name. Charli, you had a massive single this year with “Boys.” How do you draw the line between music for your album and music for your mixtapes? CHARLI: I don’t really separate it. For me, whenever we decide to make a mixtape, I know it’s going to just be myself and A. G., and there’s no conversations from the label like, “We need a single.” It’s about us doing completely what we feel, and it feels like a big family. Sometimes albums aren’t that. I don’t think I would be able to get so many features on my album, because as soon as you mention the word “album,” other record labels and managers get a bit more stressed [because] it feels more serious. The mixtape is in this very free, fast, and experimental world. But it’s also still intended to be pop. It’s what I naturally gravitate towards; it’s what I write when I’m in the moment. I don’t know if I’ll even put out an album, or if it’ll be an album in a traditional format. I don’t know if it’ll be three albums. There’s so much scope to play with that now, more than ever. Is the album even valid for me as an artist any more? I’m not sure. I think there’s an opportunity to do something really cool and fun, and I’m still figuring out what that will be. But I don’t think it will suddenly be totally sonically different from the mixtape stuff. I think a lot of the same people will be involved. I think it will be a continuation of the journey. POP 2 is out now via Atlantic Records.